Jazz Maastricht — Jef Neve – Sold Out! Jef Neve – Sold Out! Flemish pianist Jef Neve is a phenom who’s achievements seem almost inhuman. 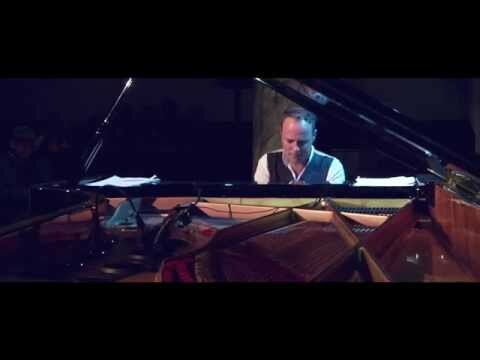 A successful jazz pianist, classical pianist, bandleader and composer, Neve has performed with the likes of Branford Marsalis and Jamie Cullum, recorded at Abby Road Studios and written almost a dozen film scores as well as two piano concerti. An artist of enormous breadth: from his solo albums to collaboration with dutch hip-hop star Typhoon, his music is an exhilarating balance between tranquility and velocity. Neve’s latest project Spirit Control explores a newfound direction in his artistry: a perfect balancing act between control and freedom, a stunning combination of neoclassicism and jazz. He’ll be joined by rising star Teus Nobel. Hailed by Jazzism as “the future of jazz”, Teus is, undoubtedly, one of the best jazz trumpeters in The Netherlands at the moment.